In the Ore Mountains you can spend multifaceted holidays at any time of the year. The 130-kilometer-long low mountain range is located in the Free State of Saxony between the mountains Geisingberg and Auersberg. For many centuries the region was famous for mining. Along the Saxon Silver Route you can discover lively industrial culture. During the Christmas season the Ore Mountains creates a very special atmosphere. Nowhere else in the world you can find so many brightly illuminated “Schwibbögen”, pyramids and straw-angels. It is not without reason that the Ore Mountains is famous for folk art manufacture. If you are looking for a typical folk art souvenir, you will surely find what you are looking for in the Ore Mountains House in Schneeberg. Here you can also spend some relaxing hours in the adjacent Vault-Café. Wooden toys from several centuries can be inspected in the Museum for Ore Mountains folk art. 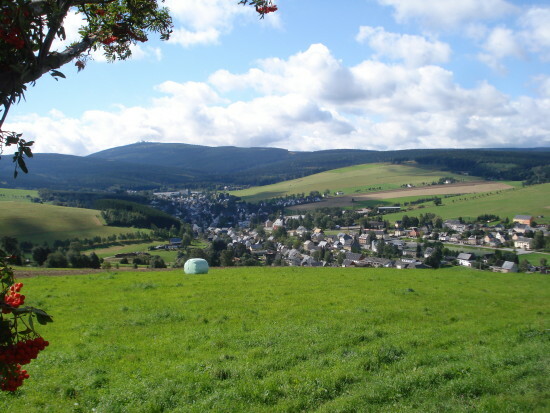 The town of Seiffen is well known as the “toy-village” in the Ore Mountains. Since the 17th century wooden toys have been produced in the small town. In show-workshops you can look over the toy-manufacturers’ shoulders while they are producing the famous tyre animals. Everyone interested in technic can visit the Frohnauer Hammer, an iron-headed hammer from the 14th century which is still used for performances today. If you want to see the Ore Mountains in miniature form, you should not miss the exhibition-railway in Waschleithe. On the slopes of the Fichtelberg skiing is possible until April. Since more than 400 years the castle Augustusburg, built by the Elector August, has been towering high above the Zschopau valley. The hunting- and summer residence houses several museums, for example the most important motorbike-exhibition in Europe, a torture museum and the extensive castle museum. On a farm with eagles and hawks you can watch the majestic animals hunting. You can also pay a visit to the biggest owls in Europe. Theater enthusiasts will love the atmosphere in the castle theatre. Get enchanted by the beautiful castle. 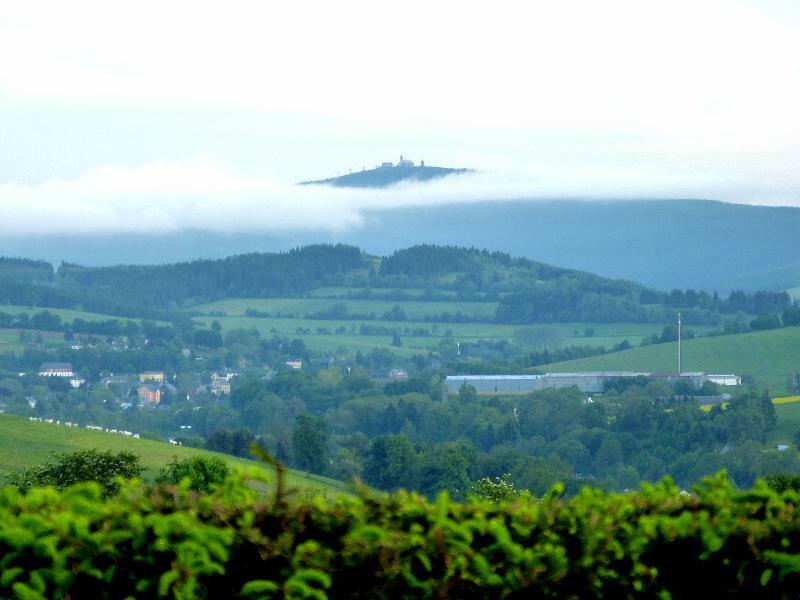 On the Czech part of the Ore Mountains you find the 1244-meter-high Keilberg, the highest mountain in the region. The German health resort Oberwiesenthal is located very close to the skiing area. On a clear day you can enjoy a nice view of the Bohemian Forest, the Fichtelberg and even the White Mountain in Prague. The observation deck on the Keilberg is currently being renovated, but will soon be reopened. In summer, a hiking tour on the Keilberg is a great adventure for young and old. After the discovery of silver ore in the Ore Mountains, the castle Scharfenstein was built in the Zschopau valley in 1250. Due to several reconstructions, the castle combines different architectural styles, for example the Renaissance portal, a wedding present from the earl to his wife. But also Gothic and early-Renaissance elements are visible. Today the building is a famous tourist attraction for the whole family. Within the historic castle walls you find a full range of restaurants and shops where you can buy all kind of art-handwork. In the museum you can find out more about the life of the national hero Karl Stülpner and visit a toy-exhibition. During your holiday in the Ore Mountains you should not miss to take a ride with the eldest aerial cableway in Germany. Your adventure starts in the health resort Oberwiesenthal from where the 90-years-old railway goes up the 1174-meter-high Fichtelberg. The ride only takes four minutes and departs every 15 minutes. One gondola can carry up to 44 passengers. Whether in summer or in winter, the ride with the overhead railway offers a great view of Oberwiesenthal and the Bohemian mountains. The most important collection of Ore Mountains folk art can be found in Annaberg-Buchholz, the capital of the region. The Dream Factory has opened in 2010 and houses the private collection of the patroness of arts and businesswoman Erika Pohl-Ströber. Many exhibits originate from the period between 1890 and 1930. In the museum the visitors can experience the magic of Ore Mountains folk art with all their senses – See, smell, taste – that’s the motto. They are also invited to produce their own pieces of art. On three floors you can see the famous nutcrackers, angels, pyramids and other interesting figures. If you are interested in historic toys, you should definitely visit the toy museum in Seiffen. In the year 1914 the foundations for the museum were laid by displaying ring turning art work. Today the collection of beautiful wooden art work from the Ore Mountains leaves the visitors’ eyes glowing. Beside traditional toys you find Christmas art which is typical for the region. Of course, you are allowed to touch and try out the toys. In the toy museum you will discover the child in yourself. The castle Freudenstein was built in the year 1168 by the margrave Otto von Meißen who wanted to protect the silver mining industry. It is located at the edge of the town Freiberg in the Ore Mountains and was mainly used for living- and representational purposes. Today, the Renaissance building houses an extensive collection of minerals, the “Terra Mineralia”, created by the businesswomen Erika Pohl-Ströber. Not only experts will be stoked by the numerous exhibits. Furthermore, the Bergarchiv Freiberg as a central point for mining history is located in the castle.